Supermicro steals the top spot in HWBOT's LN2-cooled Intel Core i9-9900K CPU frequency records using the SUPERO C9Z390-PGW motherboard reaching 7511.1MHz, 11.1 MHz higher than the previous record created by the Korean overclocker safedisk. The world recording breaking achievement was submitted last January 3, 2019. The achievement puts Supermicro motherboards in the limelight suggesting its excellent extreme overclocking capabilities which was unknown before. We could say that the use of Supermicro motherboards is almost unheard of in the extreme overclocking community. Most overclockers that break records, including the top five Intel Core i9-9900K CPU frequency records, uses ASUS ROG Z390 motherboards which includes der8auer’s world-record of 7613.19MHz using Liquid Helium achieved last October 19, 2018. With this, Supermicro will likely improve its brand image to more than just a producer of enterprise-class motherboards but also gaming-oriented and extreme overclocking-capable motherboards. The C9Z390-PGW Motherboard features the Intel Z390 Express chipset that supports the 8th and 9th generation Intel Core series processors with CPU TDP support of up to 140W. The motherboard supports up to 64GB of DDR4 memory up to 4000MHz (OC). 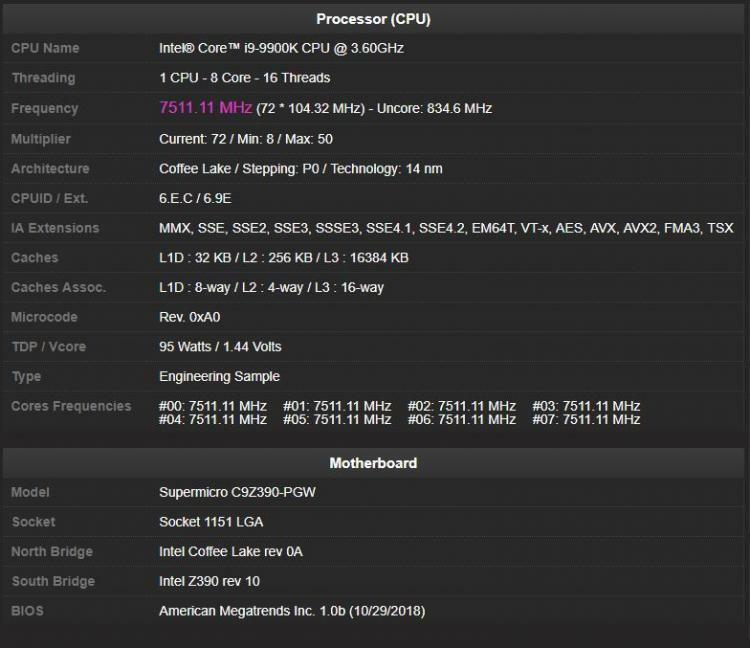 The C9Z390-PGW is under Supermicro’s gaming brand “SuperO”. 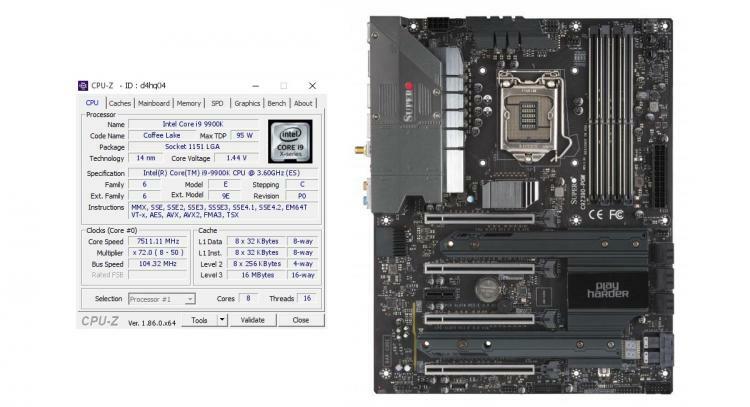 Learn more about the Supermicro Gaming C9Z390-PGW motherboard here.